Leslie Jones, you’re doing it wrong. Take some advice from someone who also mishandled the trolling. It took me many years to figure out how to come to grips with it. You cannot fight the Internet Hate Machine. If you try, you’ll be doomed to failure. Yes, I know…you were inundated with hate from trolls. Terrible stuff. I know what that’s like. I’ve been called a Nazi and racist a million times. I’ve endured terrible slurs I won’t repeat here. I’ve received death threats. I’ve been called every name in the book by both the far right and the far left. I had to deal with copyright infringement, libel and defamation and I dealt with it badly until I got wise to myself. The trolls aren’t going to change. You must change. You must laugh off the hate and harassment. It should be easier for you than it was for me. After all, you’re a comedian. You feel like you’re in a 'personal hell?’ That used to be my existence, too. At least you have many liberal allies and fellow movie stars to make you feel better. Still, if you really want to feel better on your own you must laugh off the insults and stop caring. Once you achieve that mindset, nothing can hurt you. Free speech on the Internet is an extremely valuable right that we must not lose. Unfortunately the Internet comes with a sordid underbelly that we must tolerate to keep that free speech intact. I also once wanted revenge. I was ready to say or do anything to make it stop. I pounded the table for ‘moderation.’ Facebook found it easier to shut me up than remove my tormentors. Why? Because lately it seems right-leaning libertarians and conservatives are assigned the blame. 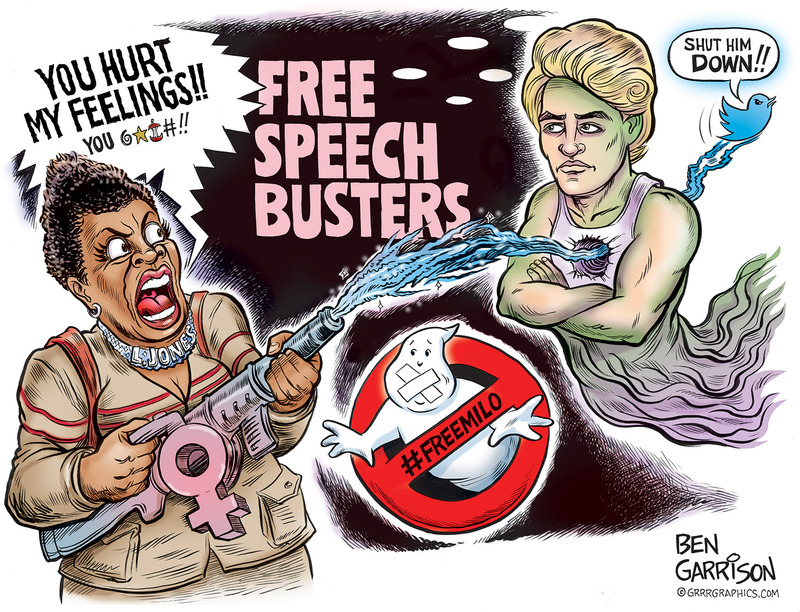 Milo Yiannopoulos has an Oscar Wilde-like wit that can hurt the feelings of the left and social justice warriors, but he’s not a troll. Twitter was out of line shutting down his free speech. He may have hurt your feelings, but if you’re willing to be in the public eye, then criticism must be expected. I am no fan of hate speech because it shuts down reasoned debate. Hate speech is not an argument and leads to no end except more hate. That said, if we ban hate speech outright it means there will be someone out there who gets to decide what hate speech is—and that’s a noose we don’t want to see tightened. We don’t need censors and scolds telling us what we can say and cannot say. We don’t need commissars of free speech regulating the Internet. Do us all a favor—stop being a victim. Stop the complaining. Laugh it off. Stop caring. Step out of your personal hell. 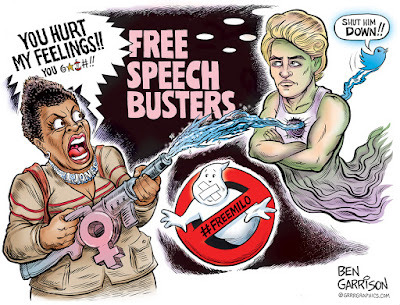 And tell Twitter to reinstate Milo’s free speech.